Two separate fans and evaporators help to maintain optimal humidity and freshness and ensures there are no transfer of odours between the fridge and freezer. Brighter, more durable and more energy efficient than a standard bulb, the LED lighting will make it easy to find your food and drink. 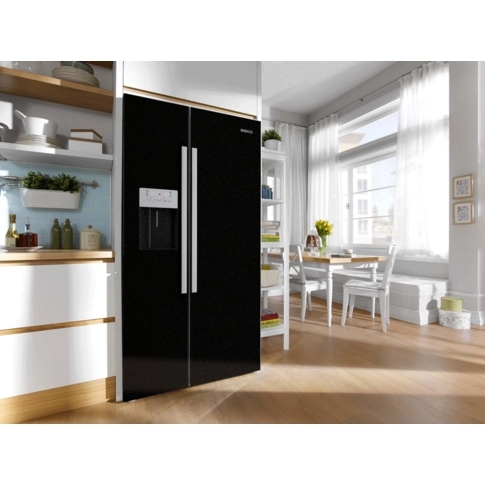 Will keep the fridge freezer running in the most energy efficiently way, when you are away for a long period of time. The top door hinges are covered with plastic fittings, hiding the metal and providing a nicer look to your kitchen.